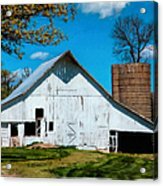 Old White Barn With Treed Silo galaxy s8 case by Anna Louise. Protect your Galaxy S8 with an impact-resistant, slim-profile, hard-shell case. The image is printed directly onto the case and wrapped around the edges for a beautiful presentation. Simply snap the case onto your Galaxy S8 for instant protection and direct access to all of the phone's features! Thank you, Debra and Dave, for the feature and Like! Old White Barn with treed silo nestled in the Kansas summertime countryside. 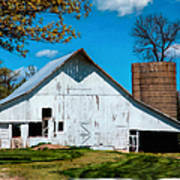 Photograph digitally painted with textures, canvas and border added as fine art photography. Thank you for stopping by! Art Photography (C) Copyright Anna Louise. 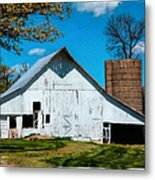 FAA watermark for internet display only and not on purchased prints. Creative Art Photography by Anna Louise. 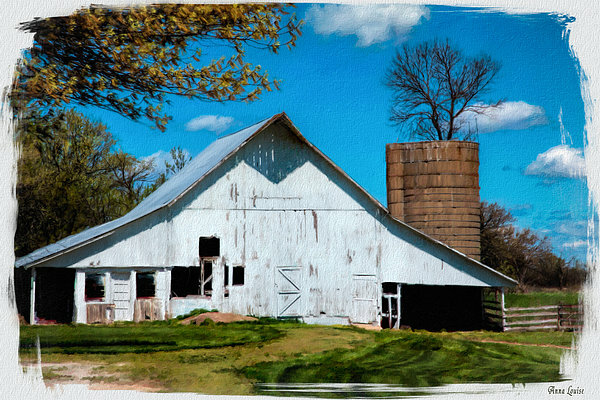 I creatively process, detail, stylize, and apply various photographic art techniques; digitally paint in different medias, and add textures for my artistic expressions. All photography, artworks, and writings Copyright Anna Louise. Screenshots, copying or any forms of publication, reproduction, transfer, for personal or commercial use, is strictly prohibited. All Rights Reserved. Visit my Instagram: Anna Louise Creative Art Thank you for stopping by!